You only get one set of teeth, and you will have them for the rest of your life. One of the best long term investments you can make is in your smile or your child's smile. 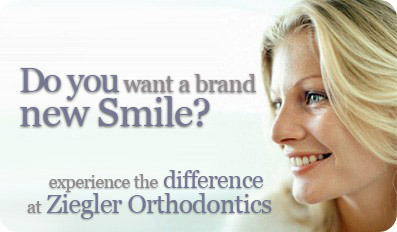 Ziegler Orthodontics can give you a smile will last a lifetime. give you the smile you've always dreamed of, and do it with great care and professional quality. Our friendly and knowledge-able staff will do whatever they can to make sure that the entire process is as positive an experience as possible.